Growing up with a mother as a musician, I’ve been exposed to so many styles of music but the one that has really stuck with me is folk. I love the simplicity, the words, and especially the stories behind the words. A song is so much more than just notes and words, just like photo is more than just a picture. Last August, I received a call from an editor at National Geographic Traveler Magazine asking if I would be interested in traveling to Dyess, Arkansas, to shoot a story for the section, Smart Traveler. 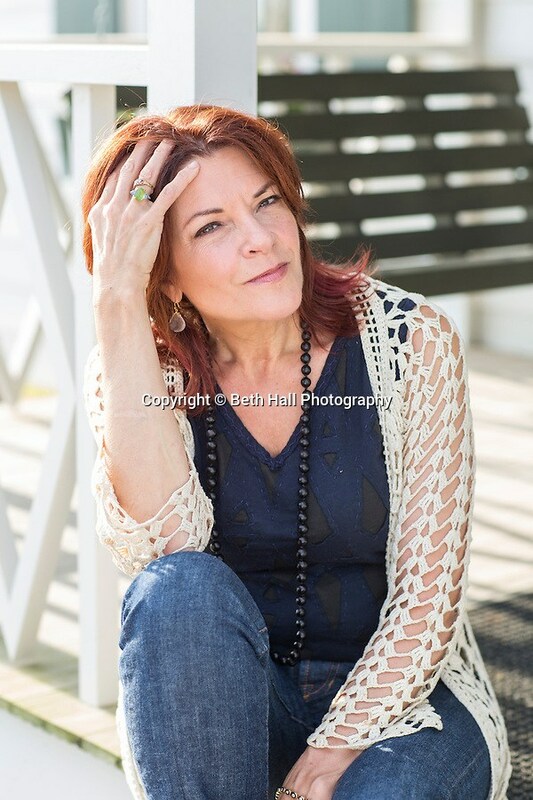 They wanted me to document the day that Johnny Cash’s boyhood home was opened to the public, and specifically to spend it with his daughter, Rosanne Cash. As I prepared for the trip, I made sure to load Johnny Cash, The Legend, on my iPod, and I also added a couple of albums of Rosanne’s. I wanted to do a little research on the drive over, and what better way than to listen to the words that were written about the place that had such an influence on his music. I arrived early and started looking around the home and learned that it, along with several historic buildings in The Dyess Colony, had been recently restored by Arkansas State University. The home had been meticulously put back together, and furnished, down to every detail as it was when the Cash family lived there. Walking through the door, was like walking back into the 1930’s. I walked through the house and looked for areas to take portraits, and looked at areas where I hoped things might happen that would make a great photo. I mentally prepared myself for Rosanne Cash’s arrival, and then began to physically prepare by prepping camera gear. When she arrived, we had a very short amount of time for formal portraits before the rest of the Cash family arrived. We worked through a few poses on the front porch before moving inside. I stepped in just ahead of her and set up hoping for my shot to work out. I knew from my early morning tour that Rosanne hadn’t yet seen the home completely restored, and fully furnished. I also learned that the only original piece of furniture in the home was the piano. It was a pivotal piece in the Cash family, as they used to gather around it and sing church hymns. The piano was located in the living room, on the right hand side just as you walked through the door. The room was beautiful with the morning light filtering through the lace curtains, and a patch of light streaming across the floor. It was a perfect scene to capture Rosanne’s reaction as she walked through the door to see the home for the first time, and I only hoped that she would follow her musical instincts and reach for the piano. I stood inside waiting for her to open the front door, and I felt a smile come across my face as she looked to the piano, and leaned over to play a few notes. What neither of us expected was the piano to be horribly out of tune, which brought the photo of her laughing. We later found out that during the restoration process, a decision was made to keep the piano untuned to preserve it’s innards. It just goes to show that the thought process of the “what if’s” doesn’t always prepare you for what actually happens… and sometimes what happens makes the most memorable photo. I loved this experience, and this day. I loved walking around and seeing the inspiration for so many great songs. I loved the tunes that ran though my head through out the day, and I loved being able to spend time with the family of Johnny Cash, a musical legend. It’s great that you so much love what you do and that you are doing what you love. Wesley and I talk about that all the time. We’re so lucky to love going to work every day. What a cool story and incredible pictures. You are truly an artist with your lens! Thanks Annette. I appreciate you taking time to read my post! This is great! PS- her name is Rosanne -just one “e”. Oh geeze, thanks. I knew that, but completely missed it when editing!